New & Like-New Home Furnishings at Amazing Prices! We’re SO SAPPY…and PROUD of it! Valentine’s Day is almost here! Because as you know, we are SO SAPPY about LOVEaround here. 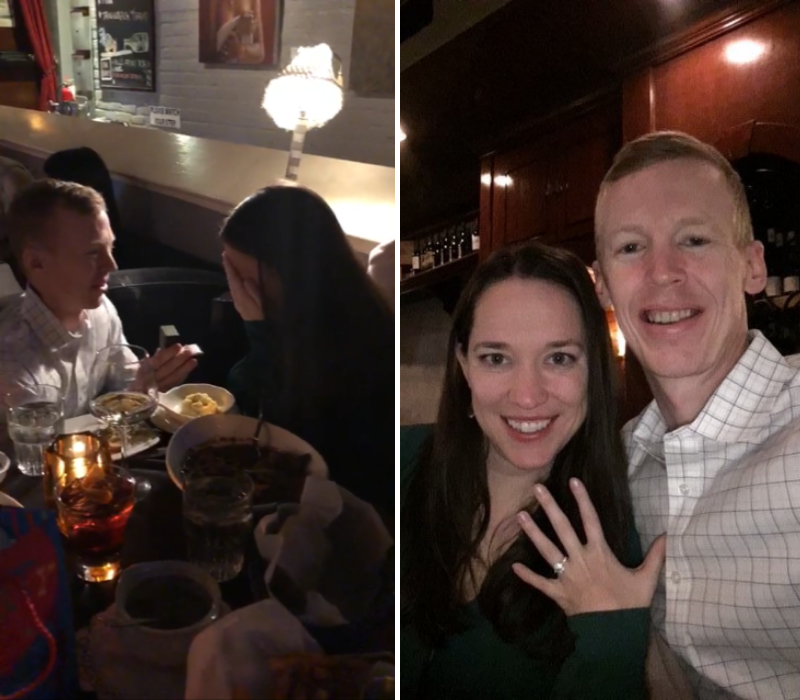 Join us in CELEBRATING our latest Lumina Gem couple, Andrew & Lauren! Love this VIBRANT vignette! Sofa in durable ‘Revolution’ fabric, $1,295. 93×43.5×34″h. Swivel gliders, $525 ea, 33x30x34″h. Abstract art, $265, 60×48. This cool copper coffee table rotates! Retails for $887, our price $495. 35.5×19″h. Accessories, $6-$48. Woven hyacinth sofa retails $1200, our price $495. 68x34x31h. Coffee table retails for $360, our price $225, 42×21.5h. Blue console table, $225, 34x12x30h. Coastal companion art, $295 ea, 39.5″sq. Accessories, $14-$48. are ON SALE this weekend! Buy any two matching accent chairs & take 10% OFF! But take 10% OFF if you buy a pair! A couple examples of the savings! (l) Blue swivel chairs just $383 ea. 28.5x34x35.5″h. (r) Brand new PERFORMANCE FABRIC linen recliners just $716 ea this weekend! 30.5x41x45”h. Create a cozy retreat for you and your honey. Leather club chairs by Luke leather, $595 ea, but this weekend only, $536 ea if you buy them both! 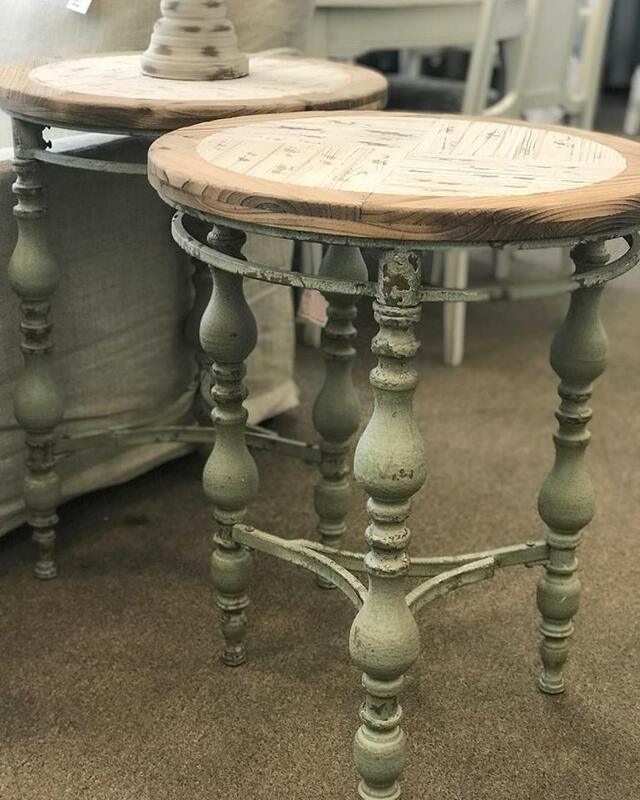 Cowhide stools, $125 ea, 20x20x18″h. Shelving unit $495, 74.25×17.6×69.5″h. Accessories, $6-$28. A gift for both of you…a COZY SECTIONAL! Solid wood sideboard just $495, 56x16x32″h. Coastal abstract, $345, 44×31.5. White lamps, $95 ea, 29″h. 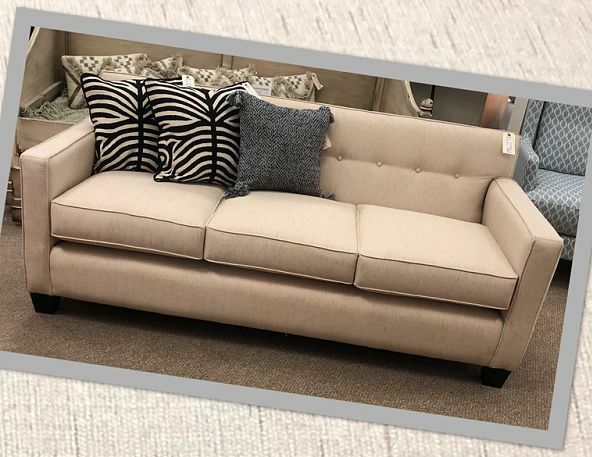 CUDDLE UP in this extra wide neutral sofa, brand new, $1,095, 112x40x37″h. Luscious gold mirror, $245, 48×48. Metal clock, $295, 48×48. Accessories, $16-$95. What a FRESH vignette…Abstract $180, 37.5” sq, designer lamps just $45 ea, 26”h, silver chest $350, 44.5x31x38.5h Accessories $10-$18. These COMFY swivel gliders are $625 ea this weekend if you buy both! 38.5x39x40″h. Floral abstract, $75, 39.5×39.5. White lamp, $85, 31″h. Bird cage, $65, 19×18. Sofa table, anyone? 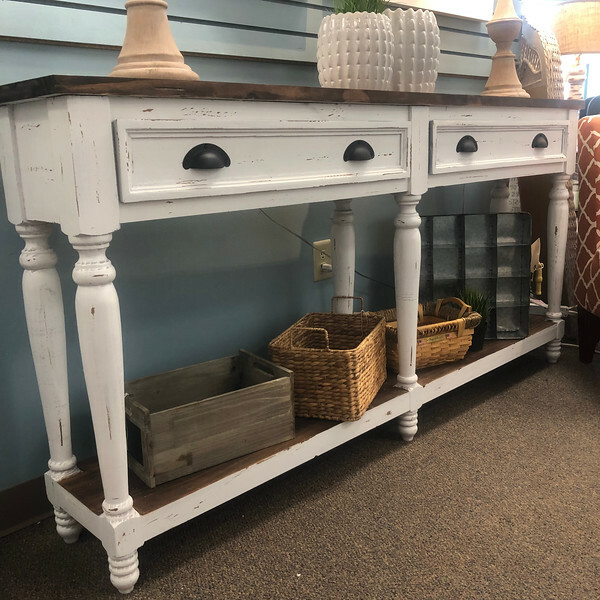 Whitewashed console table, $425, 72x12x36″h. Turquoise console, $265, 60x17x30″h. Just in…spa blue sofa $595, 78x35x34”h. Coordinating chairs, $445 ea. 33x35x34”h. Paisley pillows $25ea. The button back sofa above is also available in wheat! $595, 78x35x34”h. Pillows $26-$24 ea. As always, we are your coastal art hook-up! Get lost in the beautiful colors of this art piece…$295 46”sq. Crab giclee, $295 39.5” square. CONSIGNMENT SCORE…orange metal dining chairs with faux ostrich cushions from West Elm, $125 ea. 21x20x31.75″h. Six available, sold in pairs only. Black metal dining table with glass inlay, $225, 60×36. Abstract $125, 50×50. Some AWESOME coastal mirrors are JUST IN! MASSIVE wood and iron porthole style mirror, a true statement maker. $325 48”diameter. Distressed round mirror, $295 39” diameter. Seriously loving these cobalt lamps on lucite bases, $125 ea 31″h. Adorable fish lamps just $65 ea, 29″h. Storage is always key…black cabinet, $245. White cabinet has a small imperfection so priced lower at $195. 36x12x36″h. High end modern sofa in commercial grade brown nubby upholstery is a STEAL at $425. 73x36x31″h. Large scale 43×43 green, taupe, and ivory striped ottoman just $195. Counter stool BONANZA…in turquoise & white, $85 ea. 24″h White are also available in 30″ barstool height. Yes please! 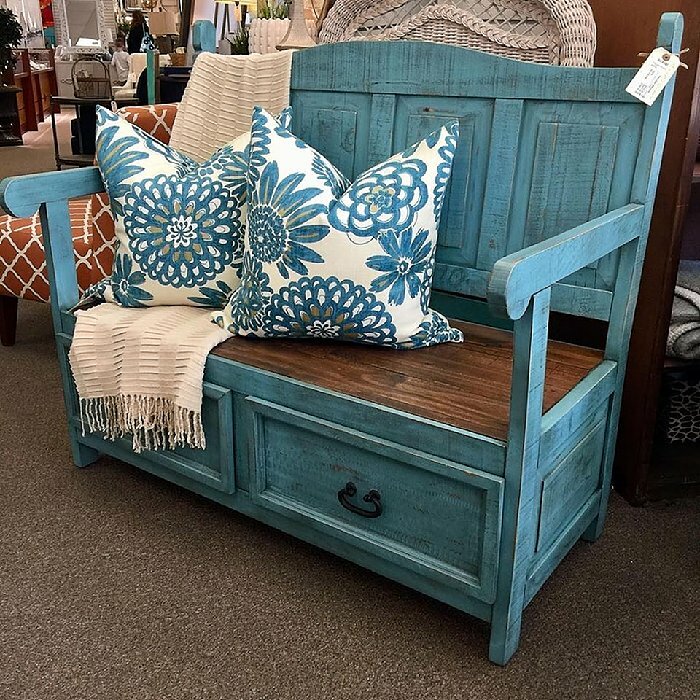 Turquoise storage bench, $495! 48×25.5×44”h. Pillows, $52 ea, throw $44 The prettiest side tables $175 ea, 21”x 28”h. Can you BELIEVE the weather we’ve had this week? Get outside and enjoy it! Just in by high end maker BROWN JORDAN. Part of the ‘Campaign’ collection, this 4pc set retails $5,226…our price, $1,495! Loveseat, 64x36x34h, chair 35x36x34h, coffee table 40×30, side table 20×20. 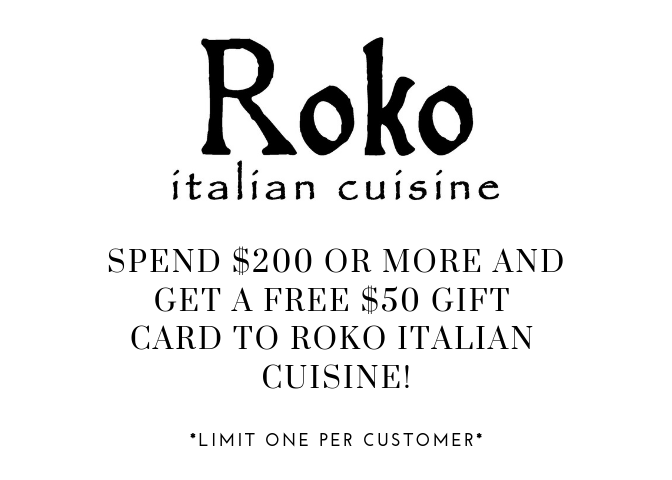 take advantage of this deal? We are SAPPY about love…and poochies, too! 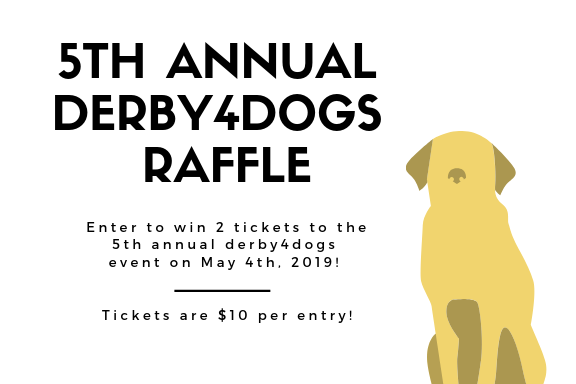 Join us on Saturday for our Puppy Love event! Build your own engagement ring. We have beautiful loose stones and TONS of semi mounts to choose from. 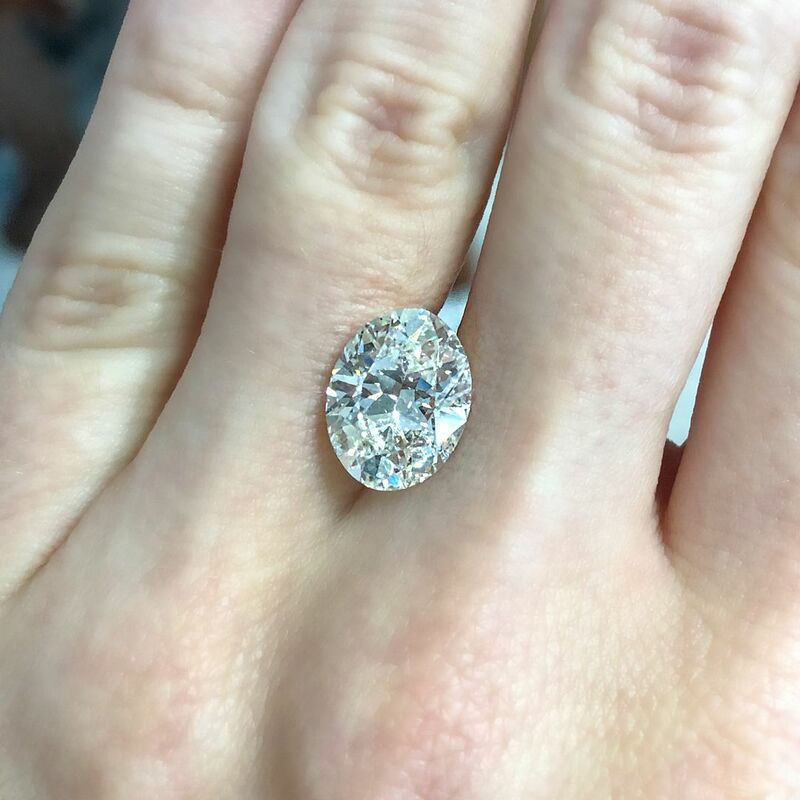 How stunning is this 3.61ct J color SI2 clarity oval diamond? Price: $32,965. 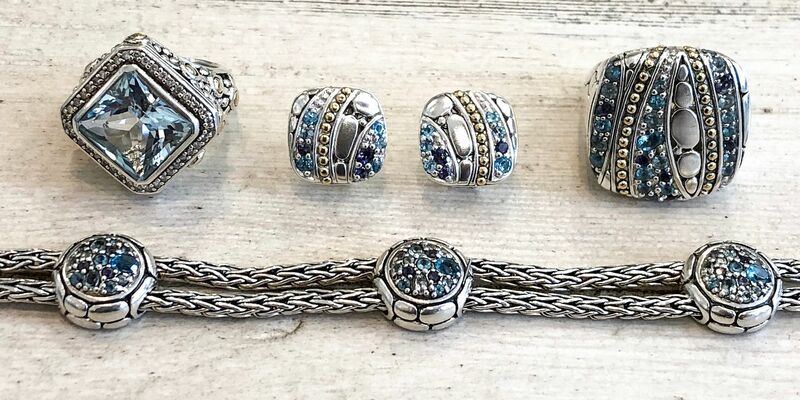 John Hardy blue topaz and iolite rings, earrings, and bracelet. Prices range from $300-$595. 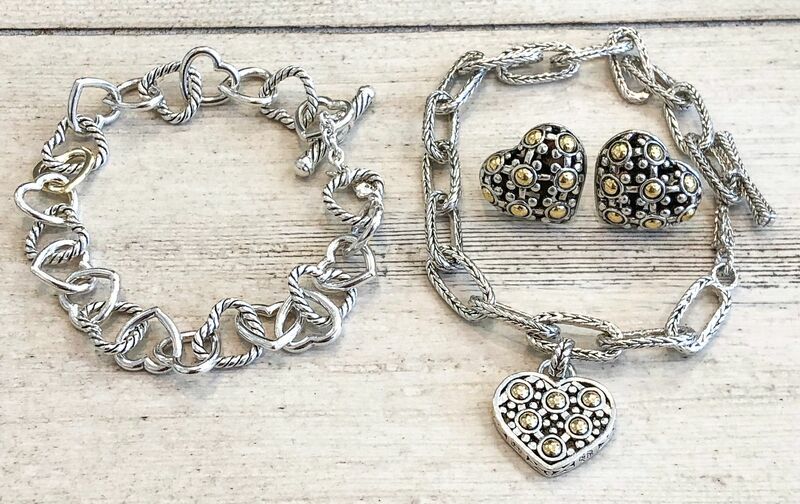 David Yurman sterling silver and 18k gold heart link bracelet, $295. John Hardy sterling silver and 18k yellow gold heart earrings, $225. 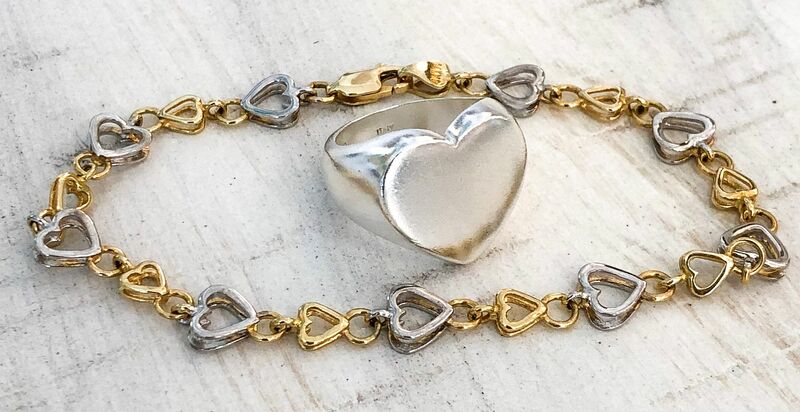 John Hardy sterling silver link bracelet with heart charm and 18k yellow gold accents, $200. John Hardy sterling silver and 22k yellow gold ring, $500. John Hardy sterling silver and 18k yellow gold band, $175. John Hardy pearl ring set in sterling silver with 18k yellow gold accents, $250. 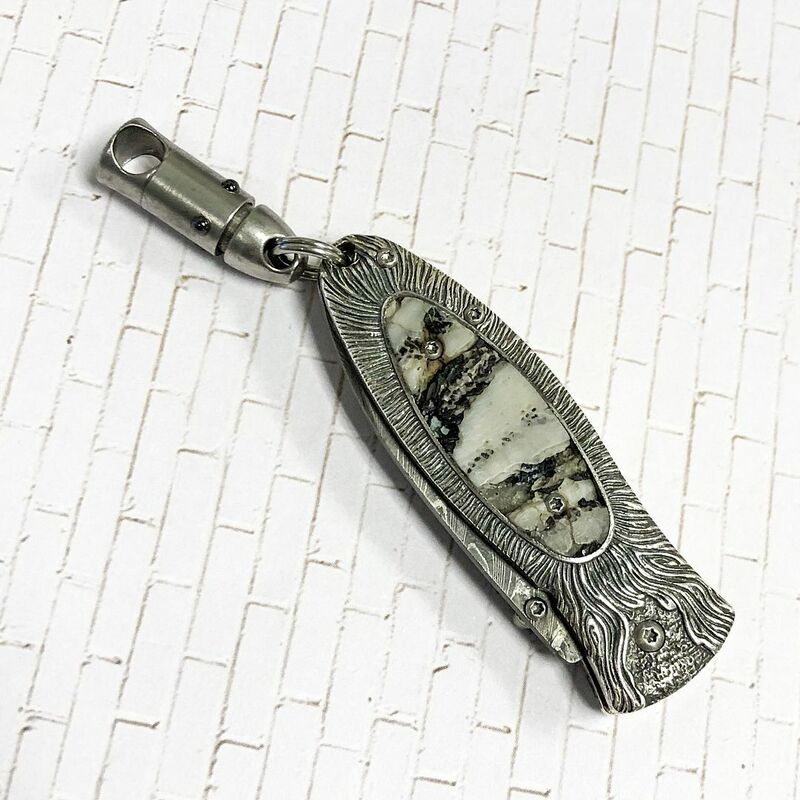 John Hardy sterling silver and pearl pendant, $140. John Hardy pearl earrings in sterling silver with 18k yellow gold accents, $400. Want a super unique ring? We have you covered! Sloan Street onyx and diamond band in 18k yellow gold, $2,595. Jade and 14k yellow gold ring, $295. Tiffany & Co. Atlas diamond and 18k yellow gold ring, $1,395. 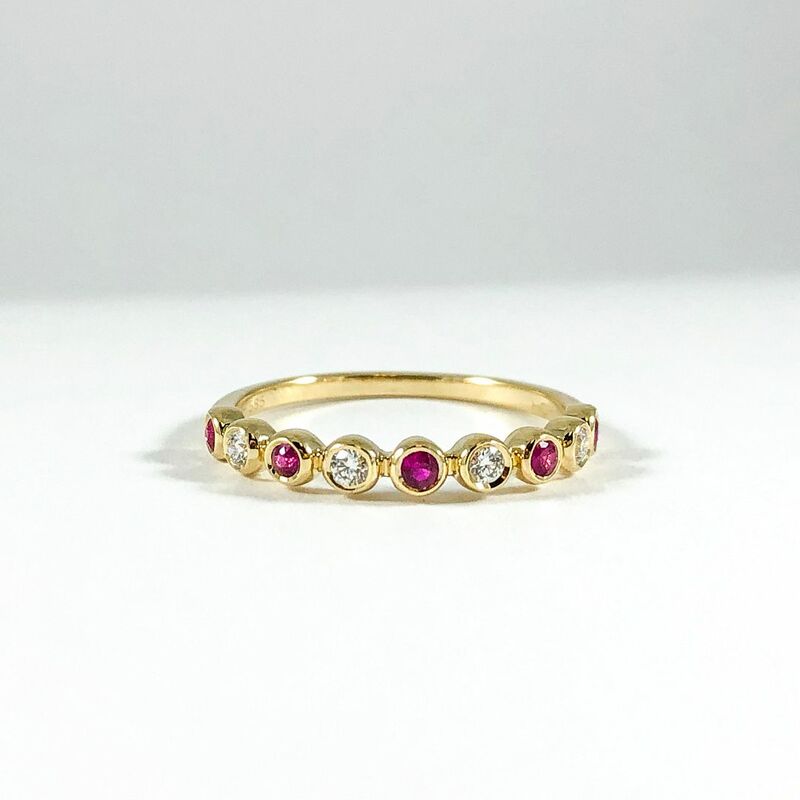 Ruby and 14k yellow gold filigree ring, $395. Sonia Bitton sapphire and 18k yellow gold ring, $395. Perfect for Valentine’s Day! Sterling silver solid heart ring, $80. 14k yellow and white gold heart bracelet, $350. 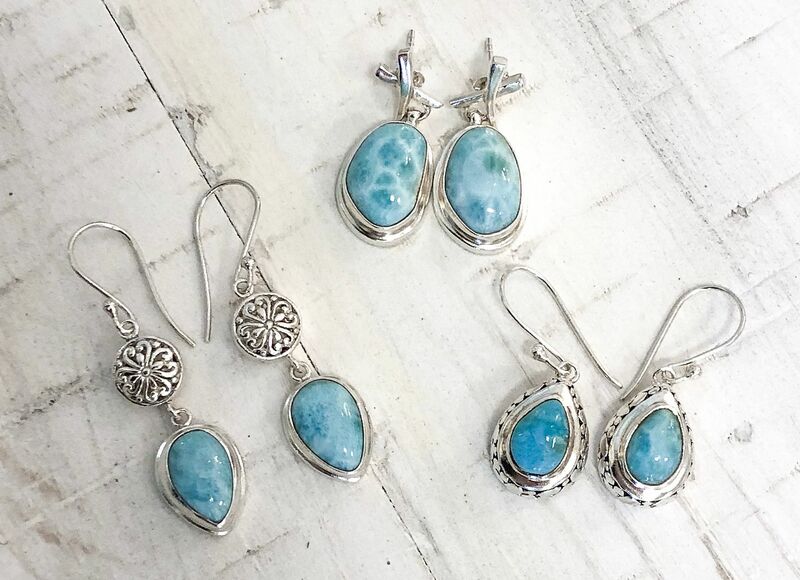 Oval Larimar and sterling silver “X” earrings, $ 149. Sterling silver scroll and pear shape drop earrings, $120. Pear shaped Larimar and sterling silver earrings, $120. Oval stone and sterling silver bracelet, $449. 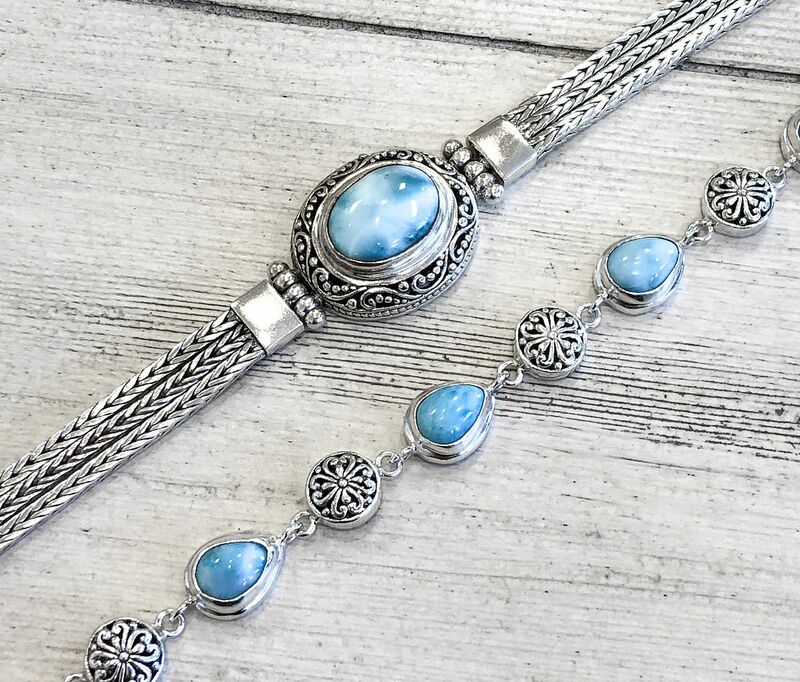 Multi pear shaped Larimar and sterling silver bracelet, $349. 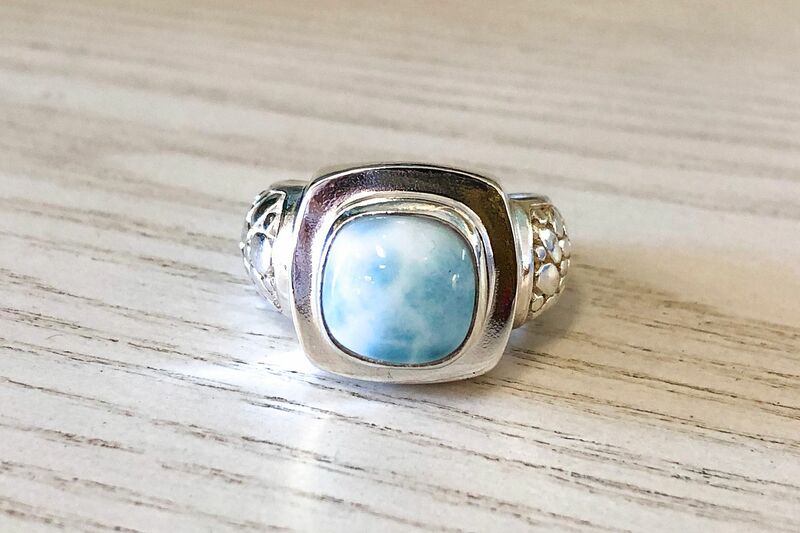 Larimar and sterling silver ring, $150. 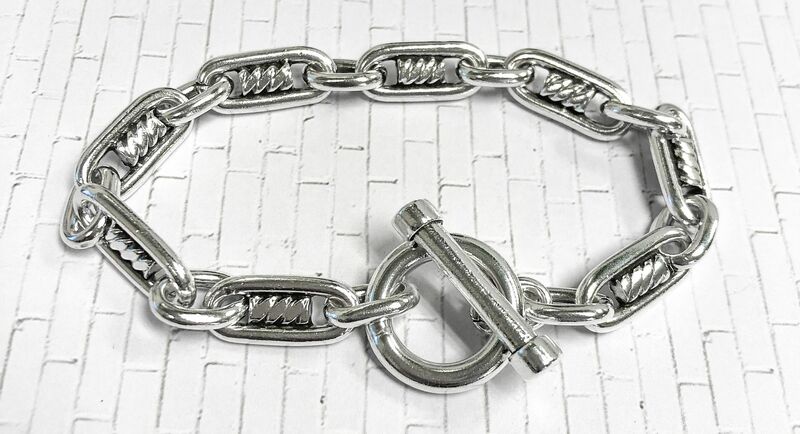 Fun handmade sterling silver link bracelet, $160. 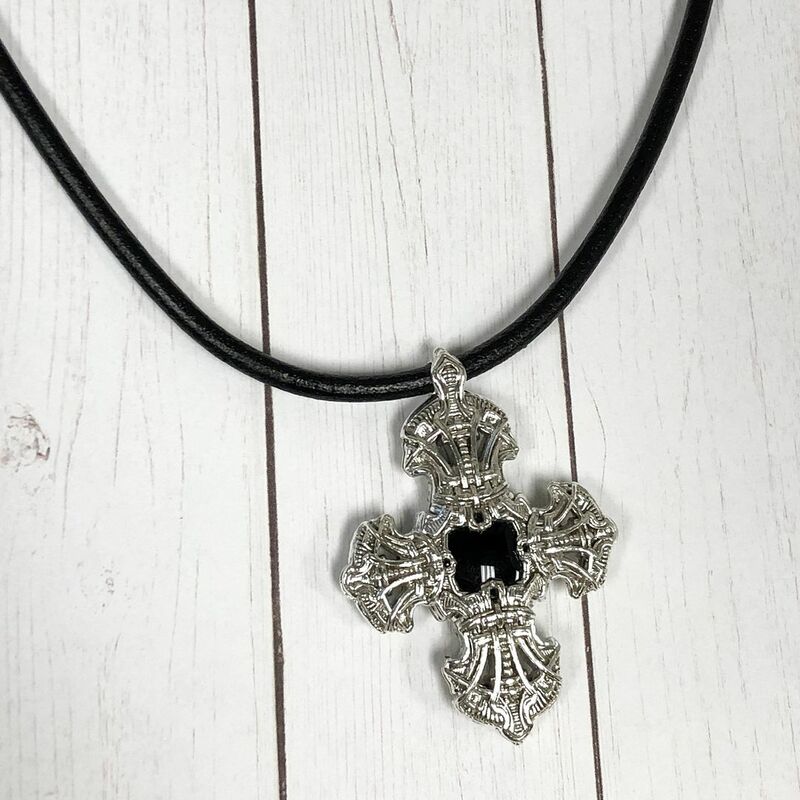 William Henry sterling silver cross with onyx on leather chord, $395. William Henry morpheus knife with a stainless steel and damascus blade, fossil inlay, and sapphire button, $595. Gorgeous new earrings and rings! 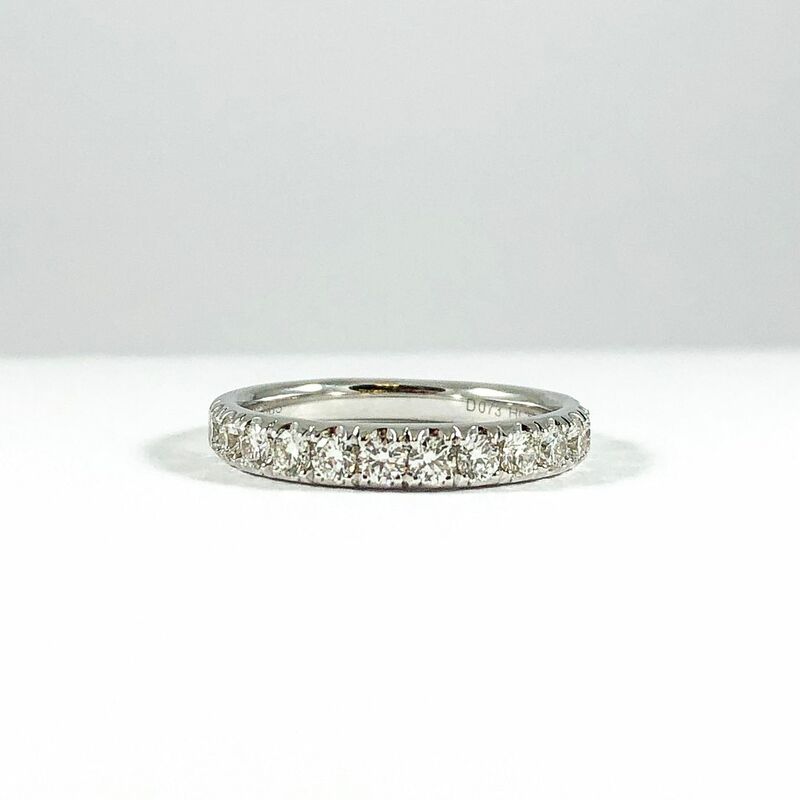 .73ctw diamond wedding band in 14k white gold, $1,395. 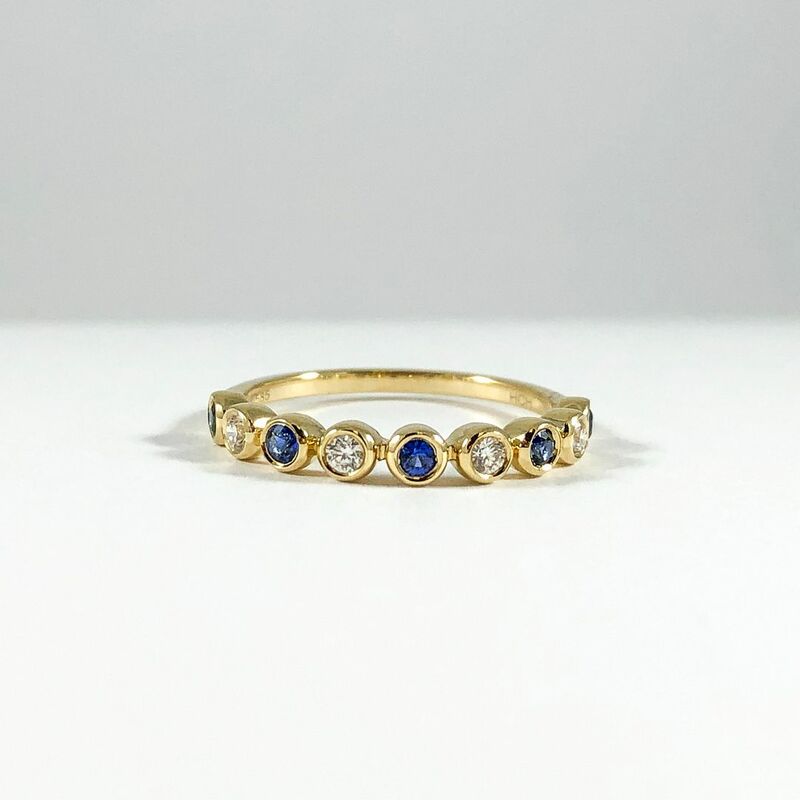 .20ctw sapphire and .12ctw diamond band in 14k yellow gold, $555. 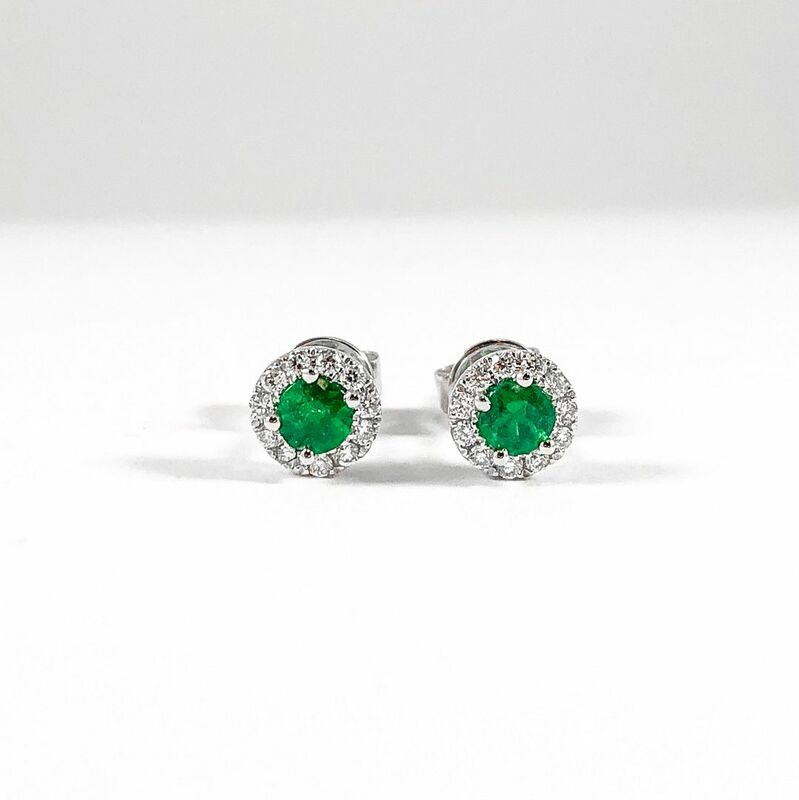 .28ct emerald and .16ctw diamond studs in 14k white gold, $1,255. 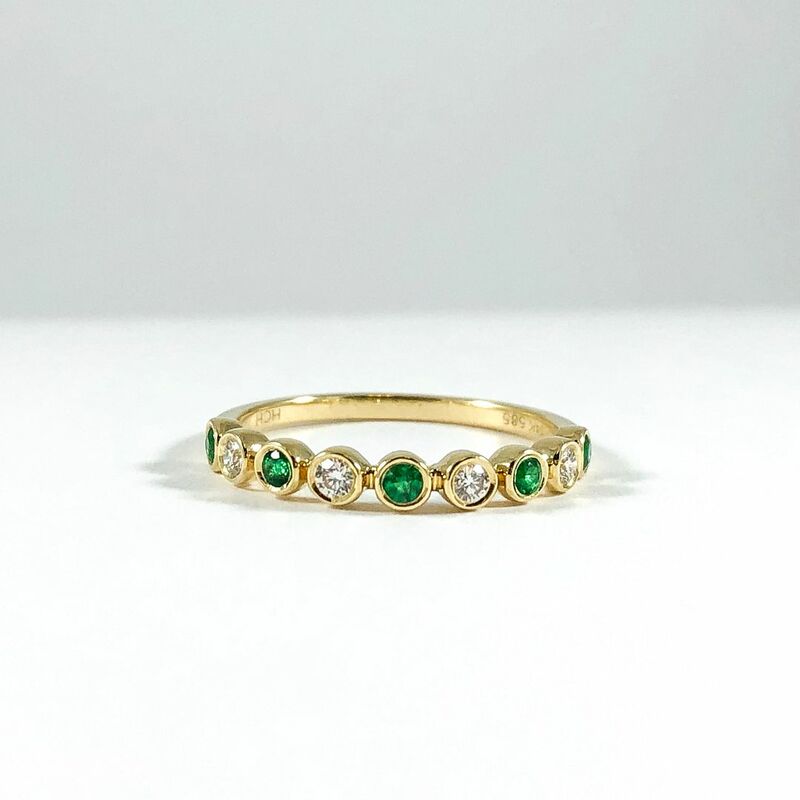 .16ctw emerald and .12ctw diamond band in 14k yellow gold, $555. 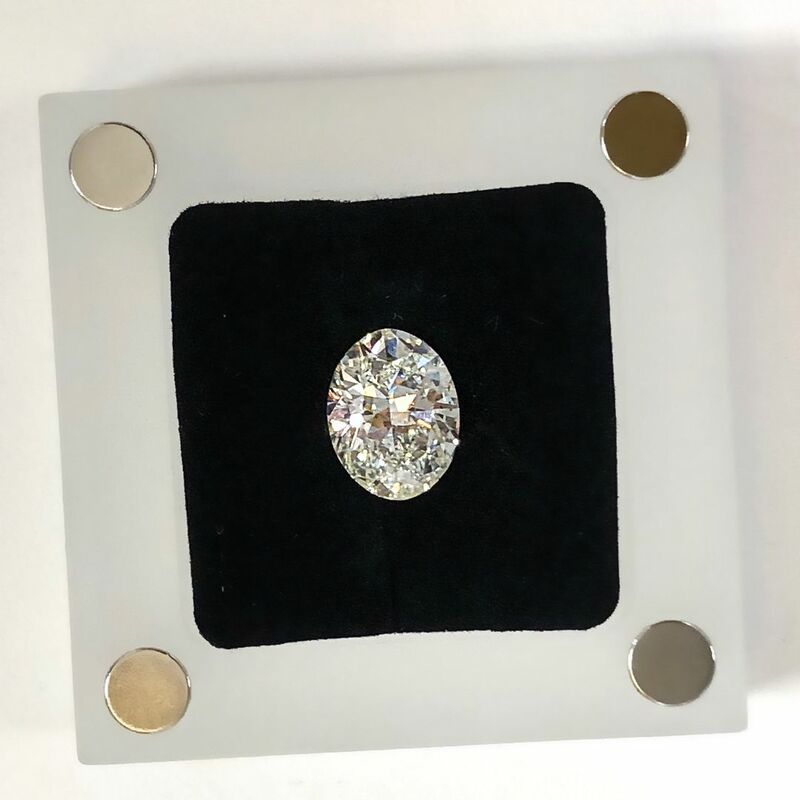 .23ctw diamond cluster ring in 14k yellow gold, $655. 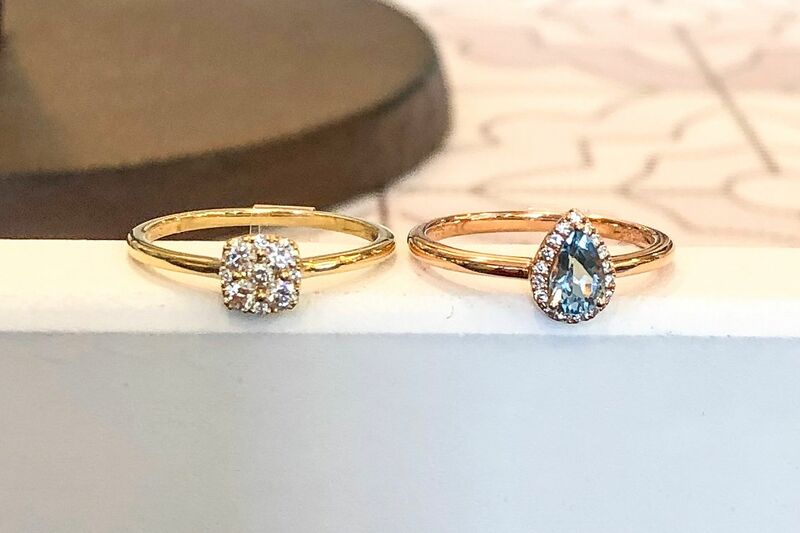 .36ct aquamarine accented with .07ctw diamonds in 14k rose gold, $655. 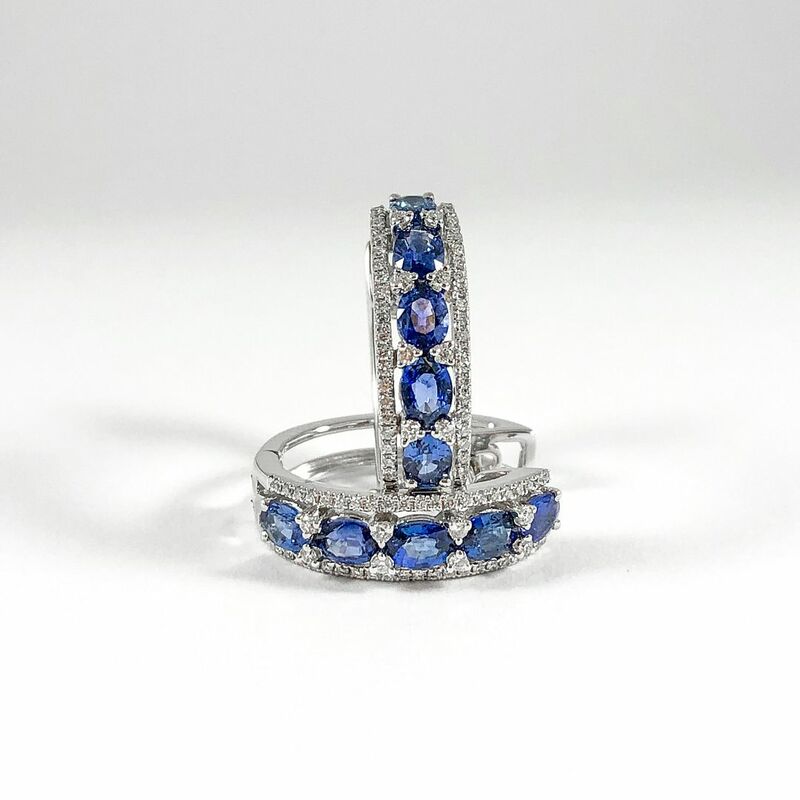 2ctw sapphire and .25ctw diamond hoops in 18k white gold, $1,895. 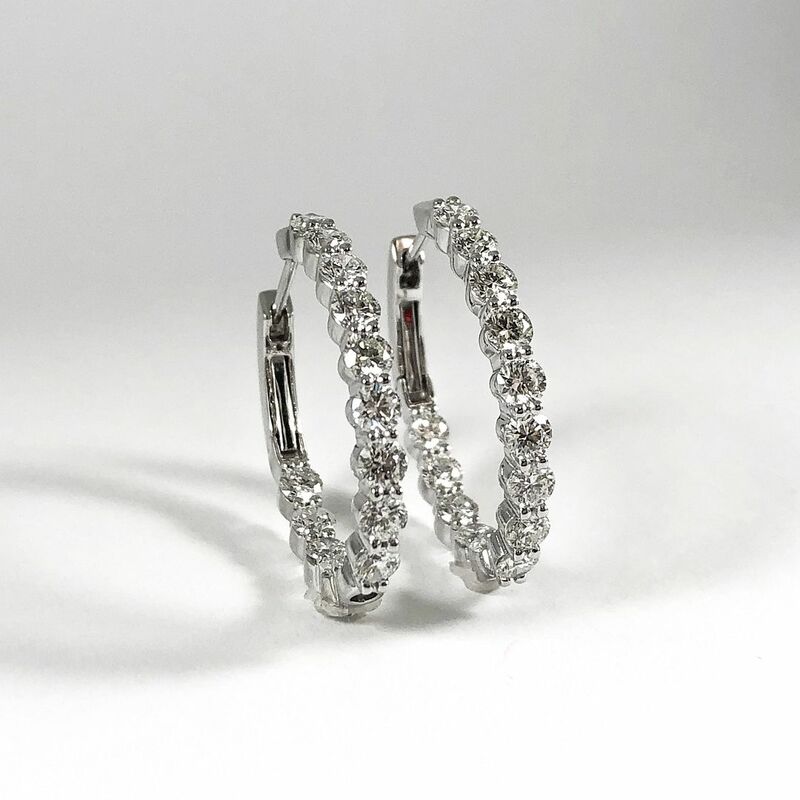 2.89ctw diamond inside out hoops in 18k white gold, $5,745. 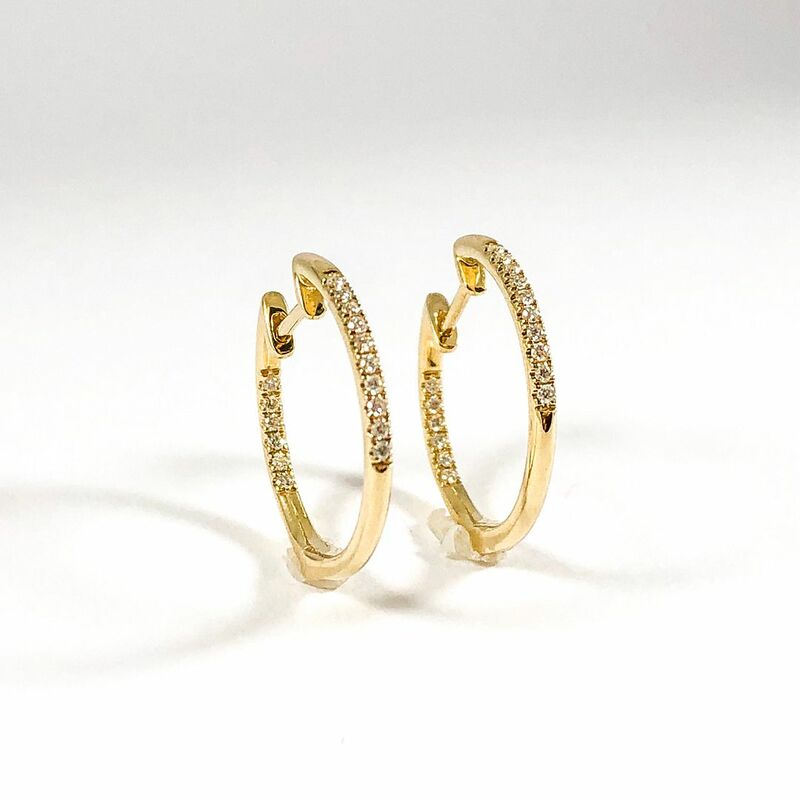 .16ctw diamond inside out hoops in 14k yellow gold, $655. The FRESHEST new looks for SPRING! The week that NOTHING went right…. Our inventory is constantly rotating, and we want to help you stay informed of our new additions. Sign up to receive our newsletter to stay in touch with our new furniture and accessories. Update your home for LESS and have fun doing it at Home Again! Come discover our ever changing assortment of upscale new and gently-used furnishings that are consigned from Wilmington's finest homes, plus showroom samples, model homes and manufacturers' liquidations… all at amazing prices! If you are looking for 'the good stuff' for less, Home Again is your store! Copyright ® 2018 Home Again Wilmington LLC. All rights reserved.